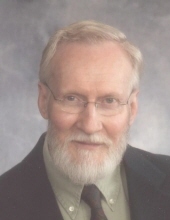 Douglas D. Dahl MD, 87, passed away February 5, 2019 in Great Falls from idiopathic pulmonary fibrosis. Pursuant to his request, no services will take place. Douglas was born in Cumberland, Wisconsin and grew up in Spooner, Wisconsin. He received an M.D. degree from University of Wisconsin Medical School in 1958. Following an internship and a tour of duty with the U.S. Air Force, he completed a residency in radiology at the University of Oklahoma Medical Center and was certified by the American Board of Radiology in 1966. Dr. Dahl married Joan Richardson of Portland, Oregon on December 12, 1959. In 1968 they moved to Great Falls with their children, Doug, Darcy and David. Dr. Dahl practiced radiology in Great Falls with the Radiology Group, served as its president for many years, and retired in 1996. Following his retirement, he continued his involvement in radiology with Montana Radiology Associates and Medical Data Management until 2017. Dr. Dahl is survived by his children, Douglas (Lisa) Dahl of Midway, UT, Darcy (Tim) Wilkinson of Great Falls and David (Heather) Dahl of Bozeman; seven grandchildren; and one step-grandson. Donations in his name can be sent to Peace Hospice of Montana at 1101 26th St S, Great Falls MT 59405. Condolences may be shared with the family at www.OConnorFuneralHome.com. To plant a tree in memory of Douglas Dahl, please visit our Tribute Store. "Email Address" would like to share the life celebration of Douglas Dahl. Click on the "link" to go to share a favorite memory or leave a condolence message for the family.